3 Bedroom Semi Detached House For Sale in Sheffield for Guide Price £140,000. ## Sought after location ## Superb three bedroom semi detached property with uPVC Conservatory to the rear in Beighton. Offered for sale with NO CHAIN. In brief the accommodation comprises; To the first floor the hallway provides access to the Living Room and further Dining area. A uPVC Conservatory has been added to the rear however requires some finishing and access provision creating a large spacious family room. Further from the Hallway is the Kitchen fitted with a range of wall and base units. To the first floor are three Bedrooms and the family bathroom with modern white suite. To the front of the property is an enclosed hard landscaped garden, to the rear is a fully enclosed hard landscaped garden with Indian stone flagged patio. 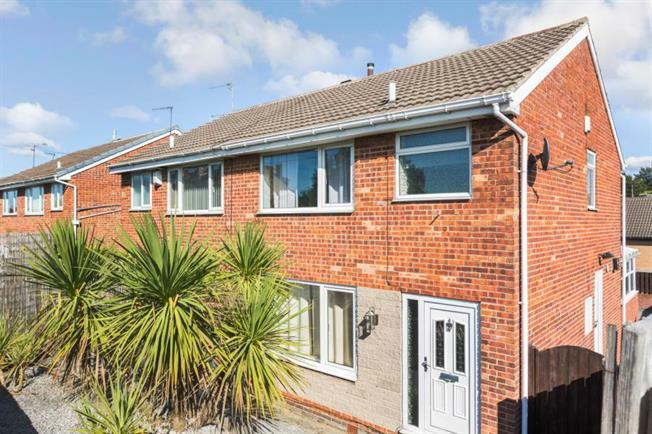 The property boasts two allocated parking spaces and a detached Garage.